In order to deliver the most engaging and personalized experience for our users, in addition to the data we collect, we may also combine this information with data we obtain from our affiliates and other sources, and use it to offer you a more relevant user experience, content and advertising. 1. YOU DO NOT NEED TO PROVIDE CONSIDERATION TO ANYONE TO ENTER OR TO WIN. 2. NO PURCHASE NECESSARY TO ENTER OR TO WIN. A PURCHASE WILL NOT INCREASE YOUR ODDS OF WINNING. ALL FEDERAL, STATE, LOCAL AND MUNICIPAL LAWS AND REGULATIONS APPLY. VOID WHERE PROHIBITED. 3. PRIZE INCLUDES THAT STATED ON CONTEST ENTRY PAGE. 4. TO ENTER TO WIN, COMPLETE THE ENTRY FORM ON THE CONTEST ENTRY PAGE, AND SUBMIT YOUR ENTRY BY CLICKING ON THE “SUBMIT” OR “ENTER” BUTTON. 5. ENTRANTS AGREE TO BE BOUND BY THESE RULES AND REGULATIONS. 6. THE CONTEST IS RUN BY 417 MAGAZINE, WHO IS SOLELY RESPONSIBLE FOR CONDUCTING THE CONTEST AND FOR AWARDING THE PRIZE. IN CERTAIN CASES, AWARDING THE PRIZE MAY REQUIRE CONTEST WINNER TO TRAVEL TO THE SWEEPSTAKES/CONTEST PARTNER(S) PLACE OF BUSINESS. 7. FOR SWEEPSTAKES CONTESTS, ONE WINNER WILL BE SELECTED IN A RANDOM DRAWING FROM ALL ELIGIBLE ENTRIES RECEIVED DURING THE CONTEST PERIOD TO WIN THE PRIZE STATED ON CONTEST ENTRY PAGE. FOR CERTAIN CONTESTS, FINALISTS MAY BE SELECTED BY 417 MAGAZINE AND ITS SWEEPSTAKES PARTNER(S). 417 MAGAZINE AND ITS SWEEPSTAKES PARTNER(S) RESERVE THE RIGHT TO SPECIFICALLY CHOOSE WINNERS. 8. SWEEPSTAKES/CONTEST WINNERS WILL BE NOTIFIED BY TELEPHONE AND/OR EMAIL WITHIN A WEEK OF THE SWEEPSTAKES/CONTEST END DATE. IF SWEEPSTAKES/CONTEST WINNER DOES NOT CONFIRM ABILITY TO RECEIVE WINNING PRIZE WITHIN TIME FRAME AND PARAMETERS THAT 417 MAGAZINE SPECIFIES IN ITS COMMUNICATIONS, 417 MAGAZINE HAS THE RIGHT TO CHOOSE AN ALTERNATE WINNER. WINNERS MAY WAIVE THEIR RIGHT TO RECEIVE A PRIZE. PRIZES ARE NONTRANSFERABLE. NO SUBSTITUTIONS ARE ALLOWED, EXCEPT THAT PRIZES AND INDIVIDUAL COMPONENTS OF PRIZE PACKAGES ARE SUBJECT TO AVAILABILITY AND SWEEPSTAKES/CONTEST PARTNER(S) RESERVE THE RIGHT TO SUBSTITUTE PRIZES OF EQUAL OR GREATER VALUE. WINNERS ARE SOLELY RESPONSIBLE FOR REPORTING AND PAYMENT OF ANY TAXES ON PRIZES. 9. EXCEPT WHERE PROHIBITED, PARTICIPATION IN THE CONTEST CONSTITUTE ENTRANT’S CONSENT TO THE PUBLICATION OF HIS OR HER NAME AND IMAGE IN ANY MEDIA FOR ANY COMMERCIAL OR PROMOTIONAL PURPOSE, WITHOUT LIMITATION OR FURTHER COMPENSATION. 10. 417 MAGAZINE ONLY SHARES THE INFORMATION COLLECTED FROM SWEEPSTAKES CONTEST ENTRY FORMS WITH ITS SWEEPSTAKES PARTNER(S) SHOULD YOU AGREE TO THE SWEEPSTAKES PARTNER’S OPT-IN OFFER. 11. BY ENTERING YOUR EMAIL ADDRESS ON THE SWEEPSTAKES ENTRY FORM AND OPT-ING IN TO RECEIVE PROMOTIONAL EMAILS FROM 417 MAGAZINE, YOU ARE AGREEING TO BE ADDED TO 417 MAGAZINE’S RESPECTIVE EMAIL LIST SPECIFIED ON THE ENTRY FORM. 12. ENTRIES MUST BE RECEIVED BEFORE CONTEST END DATE SPECIFIED ON CONTEST ENTRY PAGE. 13. 417 MAGAZINE AND ITS SWEEPSTAKES/CONTEST PARTNER(S) (WHICH MEANS ANY BUSINESS, INDIVIDUAL OR ORGANIZATION MENTIONED OR OTHERWISE REFERENCED ON THE CONTEST ENTRY PAGE, OTHER THAN IN BANNER ADVERTISEMENTS PRESENTED THROUGH THE DOUBLECLICK AD MANAGEMENT SYSTEM) ARE NOT RESPONSIBLE FOR LATE, LOST, DAMAGED OR MISDIRECTED ENTRIES, OR ANY TECHNICAL MALFUNCTIONS OF THE TELEPHONE NETWORK AND/OR TRANSMISSION LINE, COMPUTER INTERNET SYSTEM, COMPUTER EQUIPMENT, HARDWARE, SOFTWARE OR ANY COMBINATION THEREOF, OR ANY ENTRIES THAT ARE LATE (INCLUDING DELAYED DATA TRANSMISSIONS), TAMPERED WITH, GARBLED, INCOMPLETE, MISDIRECTED, LOST, MUTILATED, DELAYED, CORRUPTED, MECHANICALLY DUPLICATED, ILLEGIBLE OR OTHERWISE NOT IN COMPLIANCE WITH THESE RULES AND REGULATIONS. ENTRANTS ALSO AGREE THAT 417 MAGAZINE AND ITS SWEEPSTAKES/CONTEST PARTNER(S) ARE NOT RESPONSIBLE OR LIABLE FOR ANY INJURY OR DAMAGE TO AN ENTRANT’S OR THIRD PERSON’S COMPUTER RELATED TO OR RESULTING FROM SWEEPSTAKES/CONTESTS AND PRIZES. 417 MAGAZINE AND ITS SWEEPSTAKES/CONTEST PARTNER(S) ARE NOT LIABLE FOR DAMAGE TO A USER’S COMPUTER SYSTEM IN ANY WAY DUE TO AN ENTRANT’S PARTICIPATION IN THE SWEEPSTAKES/CONTEST OR DOWNLOADING ANY INFORMATION IN CONNECTION WITH THE SWEEPSTAKES/CONTEST INCLUDING WITHOUT LIMITATION ANY SERVER FAILURE, LOST, DELAYED OR CORRUPTED DATA OR OTHER MALFUNCTION. 14. 417 MAGAZINE AND ITS SWEEPSTAKES/CONTEST PARTNER(S) RESERVE THE RIGHT TO MODIFY OR CANCEL THE SWEEPSTAKES/CONTEST IN THE EVENT THAT IT BECOMES TECHNICALLY CORRUPTED. 15. 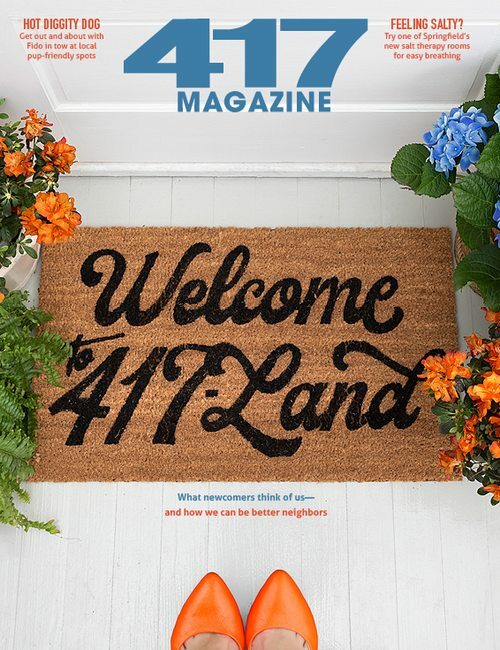 ENTRANTS AGREE THAT 417 MAGAZINE AND ITS SWEEPSTAKES/CONTEST PARTNER(S) SHALL NOT BE LIABLE FOR LOSSES OR INJURIES OF ANY KIND RESULTING FROM ACCEPTANCE OR POSSESSION OF AND/OR USE OR MISUSE OF PRIZE(S) OR PARTICIPATION IN SWEEPSTAKES/CONTEST. 16. WINNERS AND TRAVEL COMPANIONS MUST SIGN A RELEASE FORM AND HAVE THE FORM NOTARIZED. THE FORM RELEASES ALL OF THE PARTICIPATING COMPANIES AND SWEEPSTAKES/CONTEST PARTNERS FROM LIABILITY ARISING FROM THE PRIZE. 17. ENTRANTS MUST BE 417-LAND RESIDENTS AT LEAST 18 YEARS OF AGE UNLESS OTHERWISE SPECIFIED ON THE SWEEPSTAKES/CONTEST ENTRY PAGE. SWEEPSTAKES/CONTESTS ARE NOT OPEN TO EMPLOYEES OF WHITAKER PUBLISHING OR ANY AFFILIATED COMPANIES, SUBSIDIARIES, ADVERTISING OR PROMOTIONAL AGENCIES, OR THE IMMEDIATE FAMILY MEMBERS OF ANY PERSONS AFFILIATED. 18. INCENTIVIZING OR PURCHASING OF FACEBOOK LIKES OR VOTES FOR ANY 417 MAGAZINE SWEEPSTAKES/CONTESTS IS NOT PERMITTED AND THOSE FOUND IN VIOLATION OF THESE RULES ARE SUBJECT TO DISQUALIFICATION. 19. CACHE OR COOKIE CLEARING OF ANY SORT IS NOT PERMITTED AND THOSE FOUND IN VIOLATION OF THESE RULES ARE SUBJECT TO DISQUALIFICATION AND THE FOREFITURE OF NOMINATIONS OR VOTES.